Time flies when you’re having fun, and these watches are proof of that. It’s an accessory that every guy should own, and once you find the perfect match, you’ll never want to take it off. Whether you’re after something that can help you get active, or a piece that’s a little more traditional, look no further. 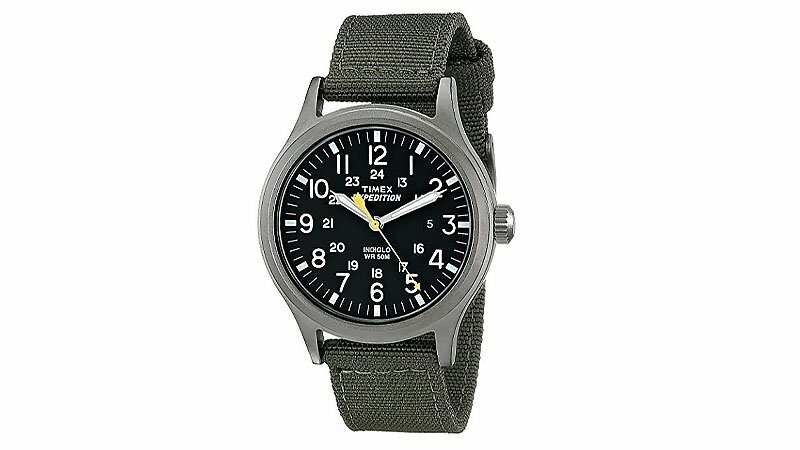 From adventure-savvy timepieces to sleek and sophisticated styles, here’s a list of cool and affordable men’s wrist clocks that suit any occasion and budget. Sometimes you just can’t beat the classics. 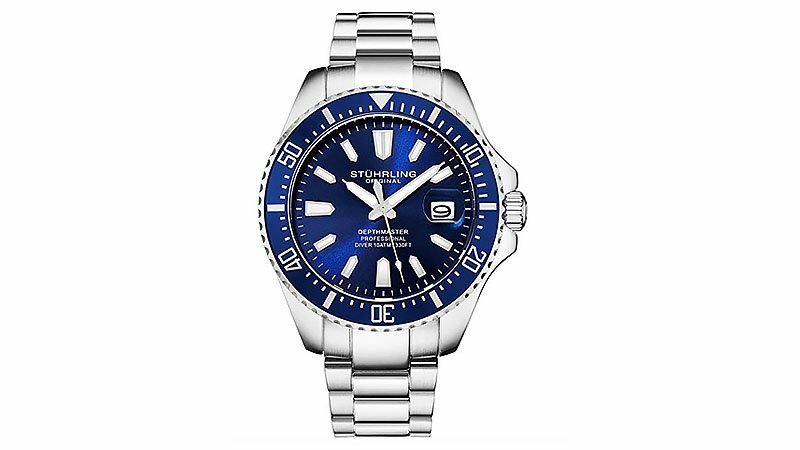 The Sturhling Original men’s dive watch relies on Japanese Miyota movement, an ultra-accurate and easy to read face and precise timekeeping. Water resistant up to 100m, the decadent design of this timepiece is suitable for any event and is timeless in its style. Whether you’re heading to the office or you’re spending the day on your yacht, this is a wristwatch you won’t stop thinking about. Made for the risk-taker and the rule breaker, the Maverick is a watch like no other. The oversized clockface is complete with scratch resistant, triple-coated, anti-reflective, sapphire crystal hands. Suitable for swimming up to 100 metres, you’ll be able to splash and snorkel in style. Choose from a myriad of elegant colours to flatter your personality. Bold and refined, the Invicta watch is for the modern man. The Japanese automatic movement features corrugated unidirectional bezel, luminous hands and analog display. 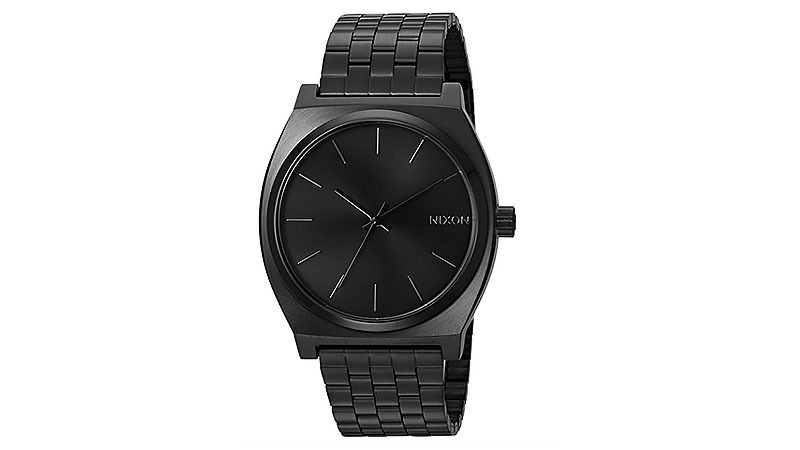 Emphasise your style with this sleek and sophisticated timepiece. The Pro Diver is water resistant up to 200m, offers timeless functionality and belongs in every guy’s collection. 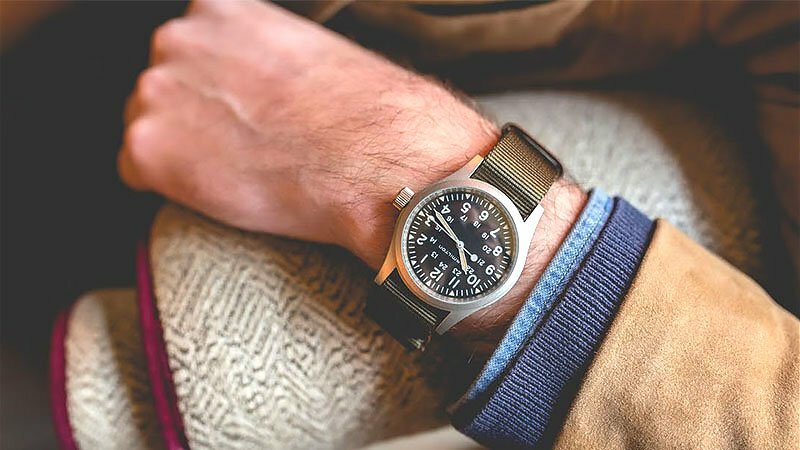 Enjoy the great outdoors with ease thanks to the Timex Expedition. 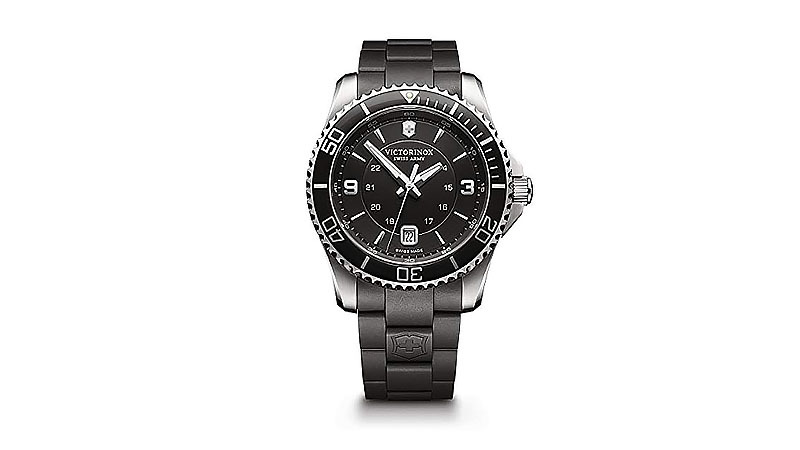 This sporty, resilient and classic watch is the perfect choice for the man who likes to explore. With a build that’s tested to rough it through the harshest conditions, this timepiece is water resistant up to 50m and is complete with a backlit clockface, allowing you to see the time even when it’s dark out. No matter where you’re going, take this with you; it’s a vital tool for your adventures. 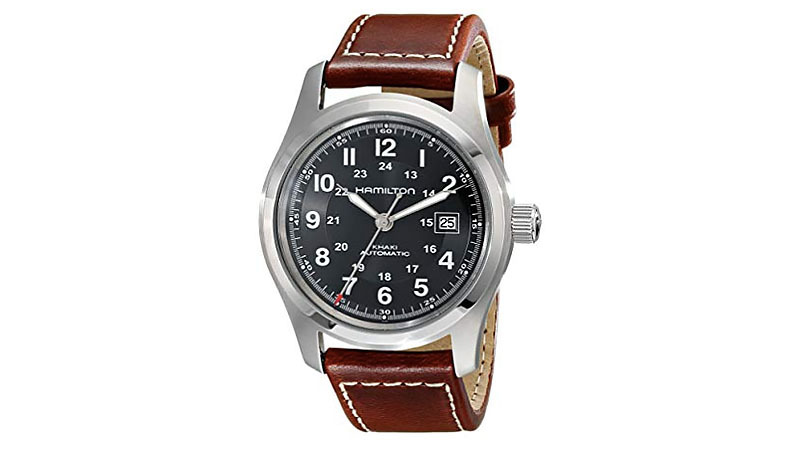 For the classic man, look no further than the Hamilton Khaki Field watch. Stunning in design and resilient in power, this timepiece is unlike anything else. With a scratch resistant crystal face, leather band and contrast stitching, it’s an accessory that needs to be in every collection. Durable up to 100m in water, you can get set on your latest adventure without having to remove this stylish piece. 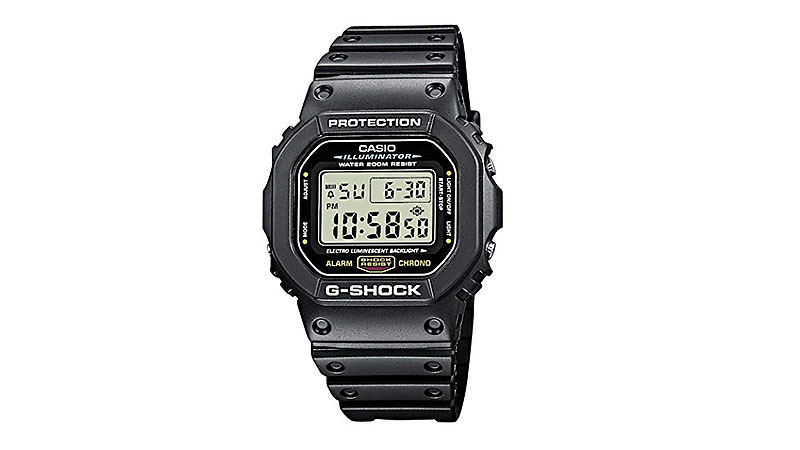 Bring retro back with the Casio G-Shock watch. Strong and sturdy, this timepiece can withstand a brunt of force. Not only is it a classic design, but it’s also powerful and perfect for heavy-duty activities such as snorkelling. Enjoy even the most vigorous activities while looking super slick; this vintage-inspired piece will tie every outfit together. 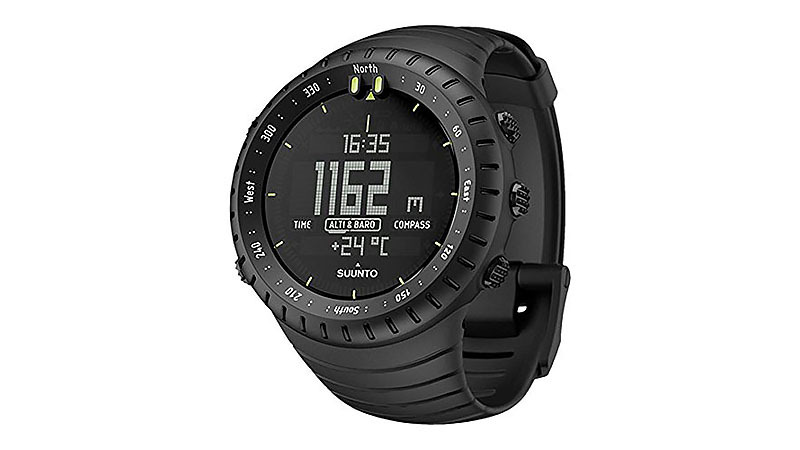 Track your movement and get yourself active with the SUNNTO Core sports watch. If you’re seeking adventure, let this timepiece graph the perfect weather conditions for your journey so you’re safe. This stylish accessory comes complete with an altimeter, barometer and storm tracker; this is the ultimate piece for the active man. 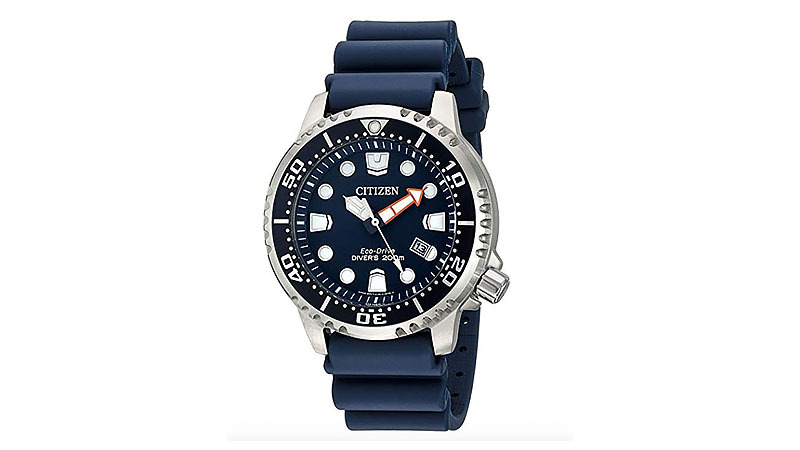 Combine classic style with a heavy-duty twist, and you’ve got yourself the Citizen Professional Diver. Fueled by light, this watch never needs to be charged and is waterproof, so you can wear it in the shower or at the pool. This timeless design features a dark blue polyurethane strap and face; no matter if you’re wearing a wetsuit or a suit and tie, you’ll look the part. 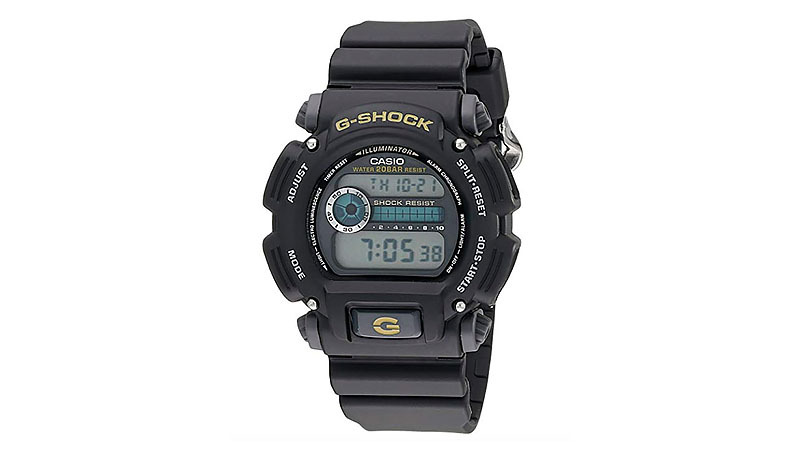 Nothing says stability and style like the G-Shock. 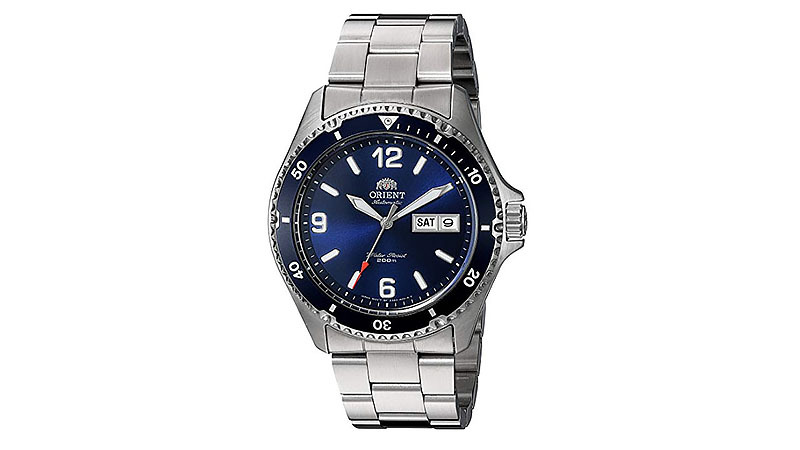 With a traditional Casio design, this watch is perfect for the man on the move. Featuring an Electro-Luminescent backlight and a digital display, this timepiece is shockproof and water resistant up to 660m. Available in a range of colours this is an excellent option for those who require a heavy-duty accessory, with style to match. Minimalism never looked so good. The elegant and clean cut Nixon Time Teller is an unpretentious and timeless accessory to have in your collection. Suitable for any occasion, this watch is truly one of a kind; the understated design is sure to stand the test of time. Easy to read and style, you’ll want to wear this timepiece everywhere you go. 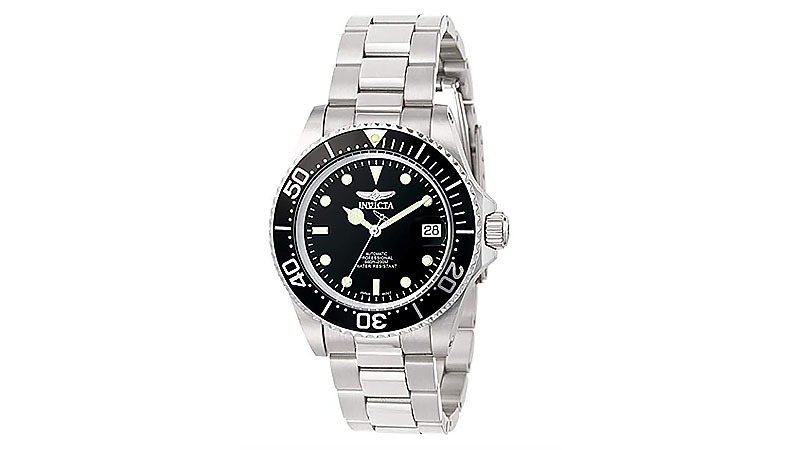 Water sports lovers, rejoice; this watch is for aquaphiles. With a reputation for robust and sound movement, the Orient “Mako II” is powered by your own body, meaning you will never have to replace or charge the battery. This timepiece is crafted by one of the top three manufacturers in Japan, so you know you’re wearing something made for serious business. Get into the ocean, swim and play without worrying about your accessory, it’s water resistant up to 200m. This is a stylish and resilient wristwatch to have in your collection! Flex for the right reasons with the Michael Kors Lexington. 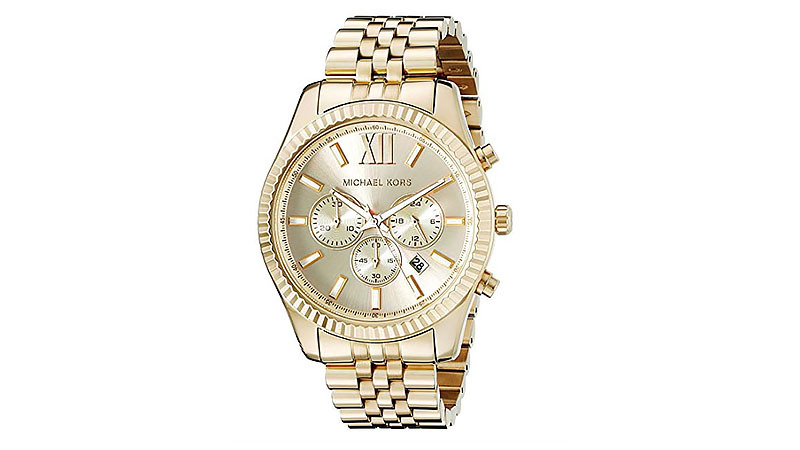 This watch is made for winners, featuring a coin-edge bezel and champagne dial, encompassed in a sleek gold finish. This timepiece was made for important business, so no matter if you’re on a private jet or public transport, you’ll have all eyes on you. Live a strong and healthy life with the help of the Samsung Galaxy watch. Stylish and clever, this timepiece in unmatched in the smartwatch world. 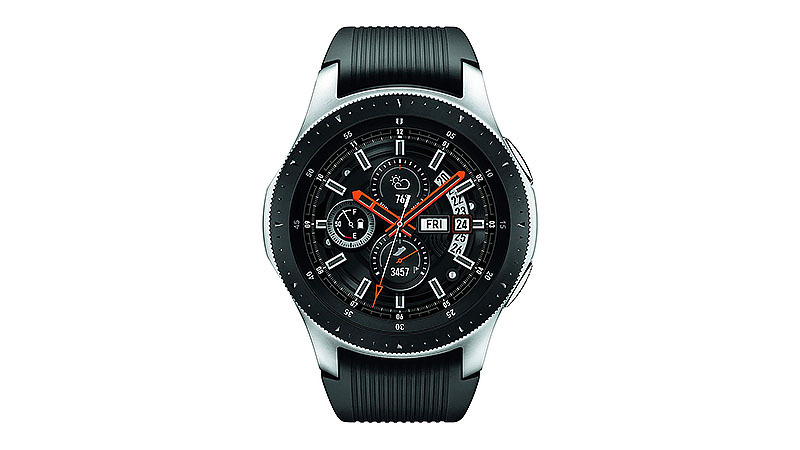 Powerful in its design, this accessory tracks your activity, allows you to respond to calls and texts and is complete with customisable clockfaces. This is made for the busy and modern man, reducing stress levels, keeping you active and stylish all at once; an accessory worth getting. Cool, suave and sophisticated, what more could you want? 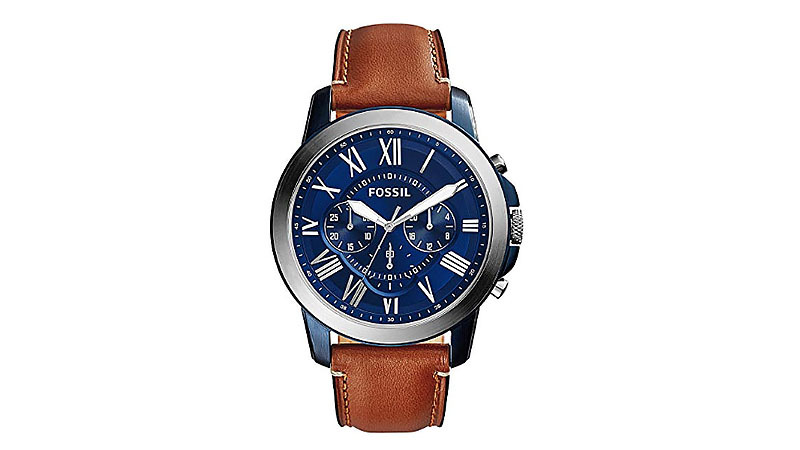 The Fossil Grant watch is a traditional and clean-cut piece that reflects modern times with a classic twist. Featuring a light brown leather strap and a navy blue clock face this timepiece breathes new life into a legacy accessory. The quartz movement and Roman numeral setting are both reliable and stylish, re-establishing a timeless design into the contemporary world. Get active and healthy without sacrificing on style with the Fitbit. Unlike the traditional design, this looks cool and modern, so you can wear it to any event. 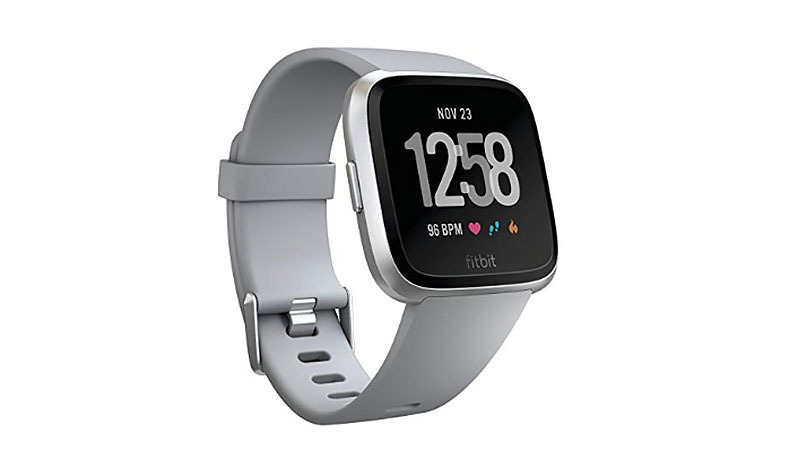 Track your daily movements, sleep and heart rate with the touch screen, play up to 300 songs and make phone calls and return texts, all from your wrist. This smartwatch has your goals in mind, allowing you to better yourself with every step. What other watches can take care of you like that?